With ‘After Laughter’, you need to dive head first, right in. Right from the offset with ‘Hard Times’, we’re given a clear direction of where this album is going. It’s got a theme, it’s got a rhythm, and it’s sticking to it. “All that I want is to wake up fine. Tell me that I’m alright and I aint gonna die” – right here we’re being told what this album is dealing with. There’s no beating around the bush. The lyrics lay out an honest and dark tone, both here and almost throughout the entire record, but the melody is a total contrast. We feel free, we feel lifted, and this is a pop record to stand up against so many iconic numbers. Throughout tracks like ‘Hard Times’, ‘Rose Coloured Boy’ and ‘Fake Happy’, we get these light guitar riffs, we get a bit of synth, and something we’re pretty familiar with – it’s all about the rhythm. Hayley’s lyrics and vocals slot right into a rhythm that just carries us seamlessly from track to track. 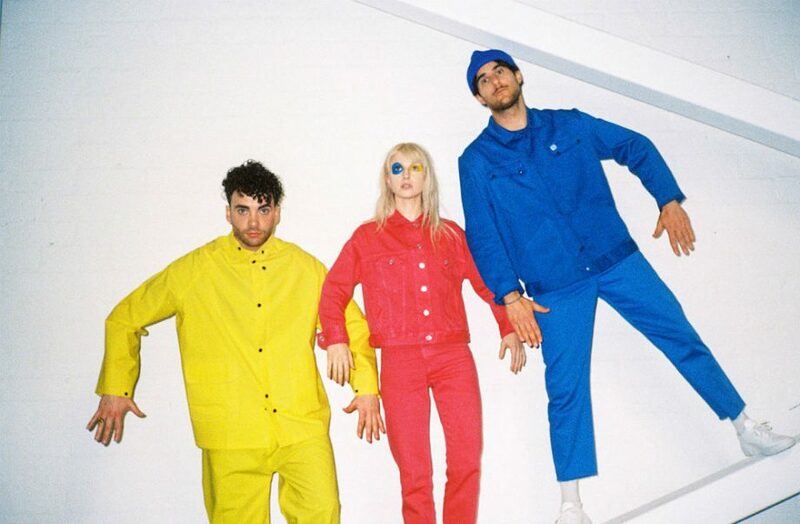 The rhythm in ‘After Laughter’ seems all the more special with the return of Zac Farro, proving we’re in safe hands. In tracks such as ‘Forgiveness’ and ’26’, two huge standout tracks; we really see the more vulnerable side to Hayley’s vocals. We’re no longer peaking through a layer of etching instrumentals – vocals and transparent lyrics is the real heart on the sleeve of this album. I’m definitely getting a quirky pop Haim vibe in the chorus of ‘Forgiveness’, and the delicate strings on ’26’ are a very welcome addition. If you’re looking for funky and upbeat – something for the Summer roadtrips – ‘Rose Coloured Boy’ is certainly the major standout track on the record. But ’26’ is in a total league of its own. This is where we see Paramore at their most delicate and raw, and it is perfection. It lifts you up with the chorus “hold on to hope, if you got it // they say that dreaming is free, but I wouldn’t care what it cost me” and then absolute rips you apart with the bridge, “survival will not be the hardest part. It’s keeping all your hopes alive, when all the rest of you has died. So let it break your heart”. We get 12 tracks that grab our attention and make us listen but we get 3 minutes 42 seconds right in the middle that makes us feel. As we get into the second half of the album, we almost step into some sort of time capsule that doesn’t quite transport us the whole way back but definitely teases us with a bit of the familiar. Tracks like ‘Grudges’ and ‘Idle Worship’ boast more of a rock essence than the earlier tracks on the record, and we then come full circle to wind down with ‘Tell Me How’ – a vocally gorgeous track that’s driven at the start by a poignant piano piece. All in all, it’s pretty simple – if, like myself, you’ve grown up in line with ‘All We Know Is Falling’, all the way up as far as ‘After Laughter’, you’ll know that there’s no mistaking this for a Paramore record. This isn’t something brand new, however daring. This is the same band we’re all familiar with, who’s sound has simply grown in time with its creators, their obstacles, and all of us. Lyrically, the album, through each of its tracks, feels like a 12 page book of clarification of the last four years, and the conclusion is everything the music and the melodies make you feel – free. It’s intricate, it’s relatable, and its something the live show can only do wonders for. It’s only May, but I’m already right in with my bet that few, if any albums will come close to ‘After Laughter’ this year. Paramore, welcome back. Thanks for the music.